Good morning, my friends! Today my morning began with the preparation of delicious pastries. Brownie is probably my favorite chocolate dessert. 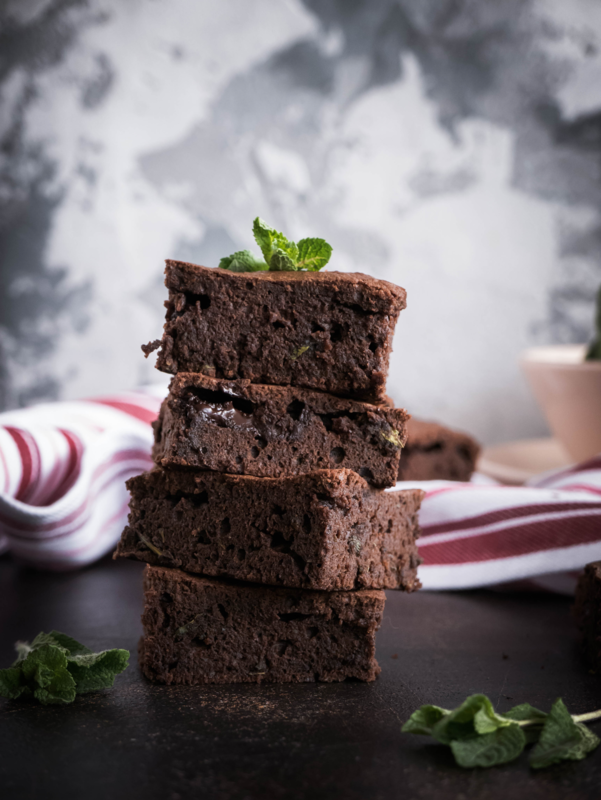 Today I came up with the idea of ​​preparing a not quite traditional recipe for brownie. I decided to add a bit of fresh and fragrant taste to the dough. I'm sure, that mint goes well with dark chocolate, which I also added to the dough. If you add mint to the blender with a spoonful of sugar, you will get a gentle consistency with a refreshing taste and bright color. At the end, as the dough is ready, you need to add mint. 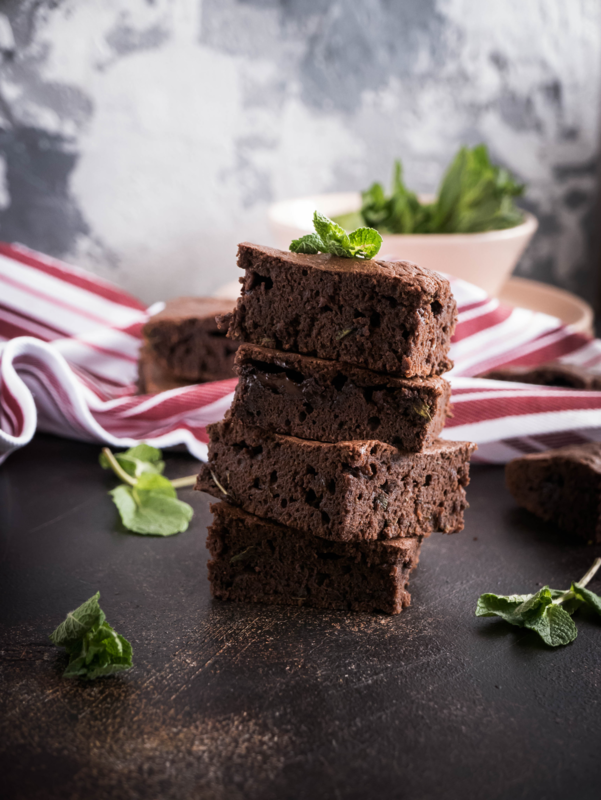 Brownie with mint is very tasty! 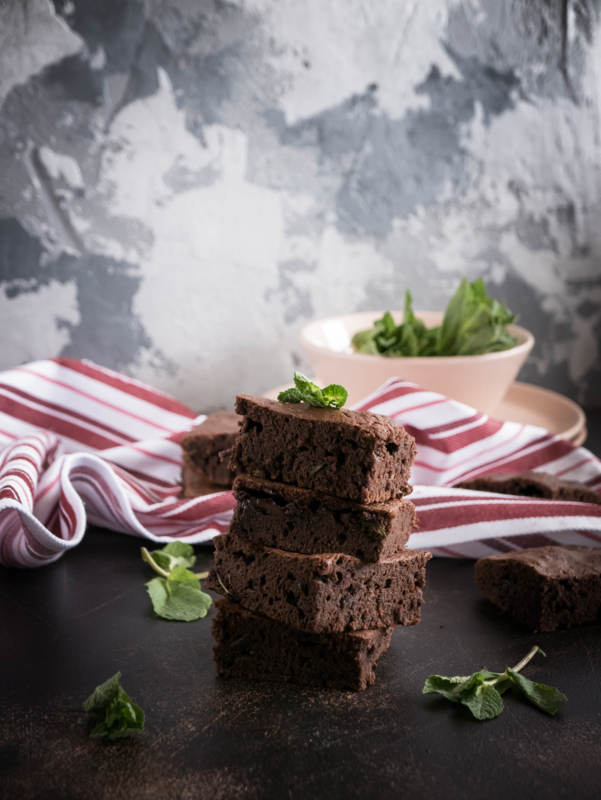 The combination of dark chocolate and fresh mint creates a fresh, fragrant and delicate taste. 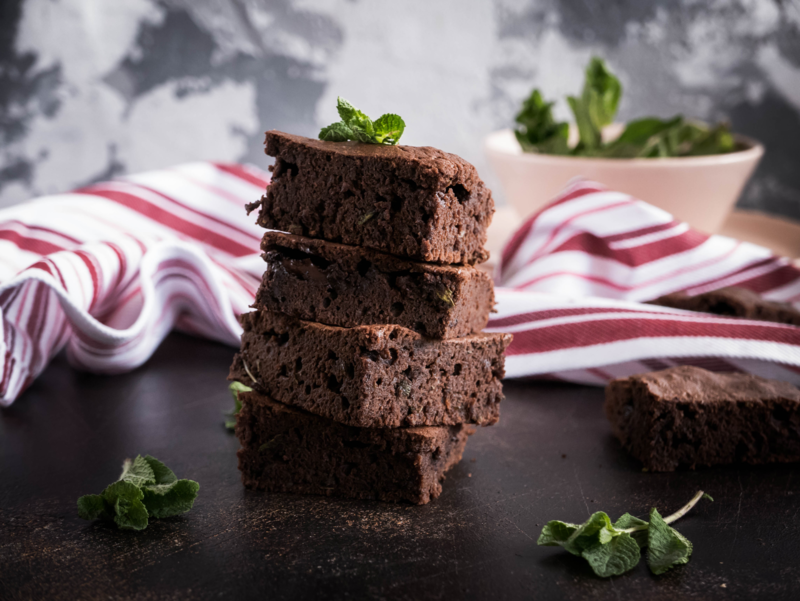 You can notice how the mint is visible between the chocolate layers of brownie. 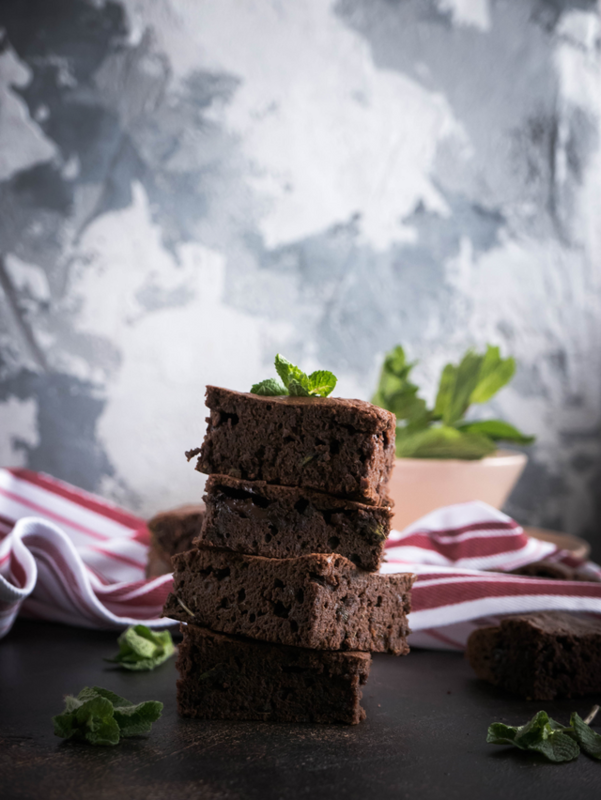 I think the use of fresh mint, gives the opportunity to create a new taste and make the usual brownie much tastier and more fragrant. Enjoy! 1. Chocolate and butter melt in the microwave. 2. Add eggs and sugar to the chocolate mixture. All mix well. 3. Then add mint leaves, one spoonful of sugar to the blender and mix everything. 4. Mix the mint mixture with the chocolate mixture. 5. Gradually add flour and knead the dough. 6. Lubricate the baking dish with butter and sprinkle with cocoa. 7. Gently place the dough into a baking dish. 8. 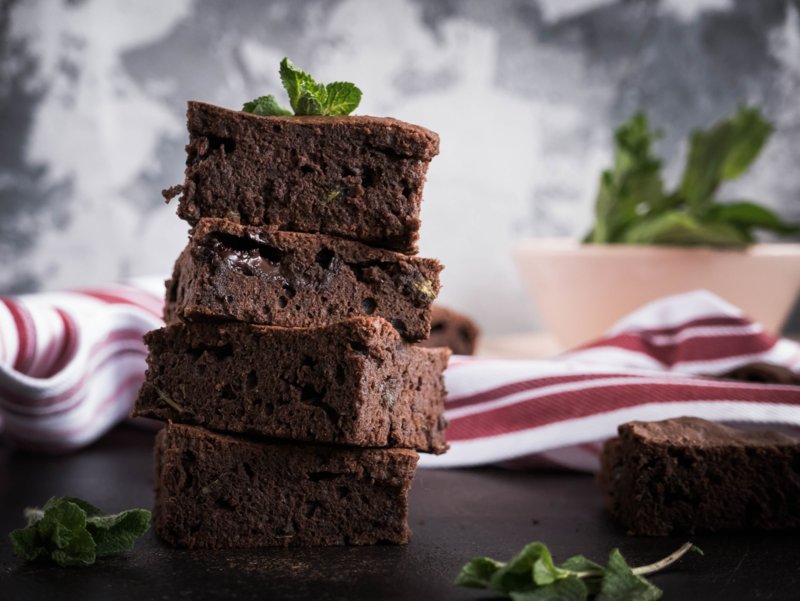 Bake brownie at a temperature of 170 degrees 30-35 minutes. 9. Then brownie cool and cut into square pieces. Thank you for your participation and your description with us‏.. Nature is really beautiful and your ability to take a visual capture of its beauty is really perfect. I am also a photographer and I know how great a person feel when he/she take a perfect photo. What's the best thing in life? Surely when that person can give a positive thing that is able to give a view and give a benefit to everyone, it is sometimes not realized that the smallest thing we make today that benefits for all is a very extraordinary thing in our life. What is your idea by giving benefit? The idea created is a new view to create a convenience to be enjoyed and facilitate others to be part of what we have done sebelunya. What is the benefit of what we serve? this is a very useful thing and it is an important note for everyone to try it. The most beneficial thing is when people can we help with what we have today even if only a recipe Kue. Sencillamente delicioso, los postres con chocolate son mis favoritos...gracias por compartir la receta!! wow, looks so appetizing, thanks for putting up the recipe. and your photography is excellence. Seems like a great recipe. But why so many images of the same brownies? Well I will try this out. 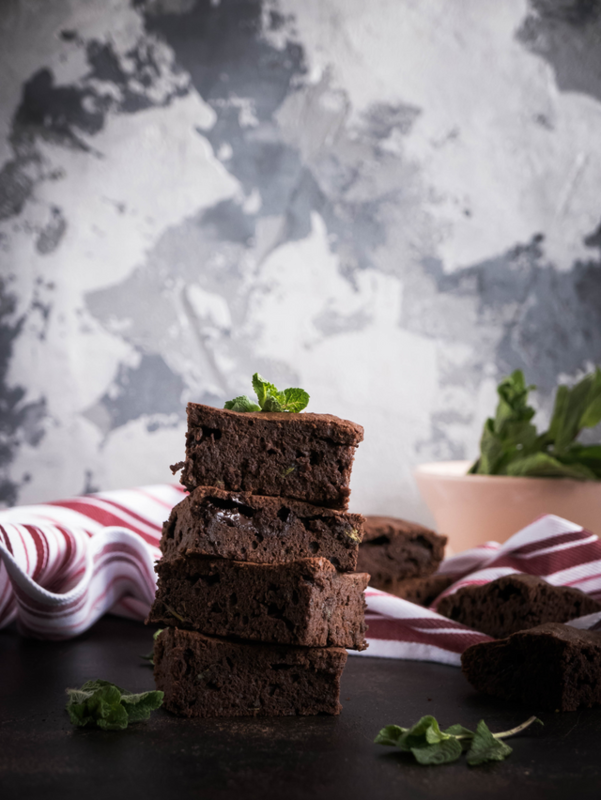 Brownie with mint need to try that out and thank you for putting up the recipe. The camera work as always looks spectacular. it seems yummy👌.i will try. It looks delicious, it is undoubtedly an excellent recipe worthy of attention, I recommend Venezuelan chocolate I would say that it is the best chocolate in the world! Many successes and I hope you continue sharing these rich recipes! I like very much your photos. I'm new here. I do also food photography. Can you share your camera and lights setups ? ES -¡Mi postre favorito! Tengo que probarlo con menta. Gracias por compartir esta receta.